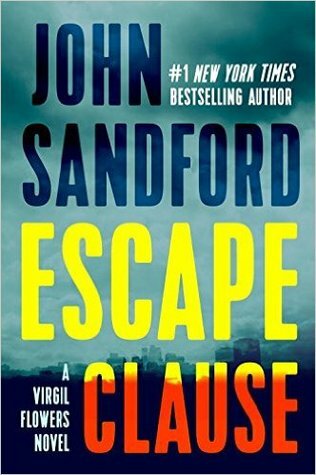 Okay, so maybe chasing tigers doesn’t make this a great read…maybe some of it was a bit far-fetched as well…however, I don’t give a rat’s arse…this is the Sandford I love…characters going back and forth with sarcasm and wit that makes you feel like you’re right there in the same room with them. Flowers is no longer a spin-off from The Prey Series…Virgil isn’t simply a protégé of Lucas Davenport’s. He’s all grown up now and is his own self. But now I am seeing the exact same with Flowers. I used to be amused by Flowers, but didn’t really have any real respect for him. I found him a bit too free-spirited to take seriously….but he’s really grown on me…I like the serious Flowers I see now…yes, he still maintains that free spirit bobble headed boy, but there’s no doubt that his spirit is laced with steel. His experiences have hardened him and we see more and more of that…but that hardening hasn’t changed who he is…only how he handles the situations he’s found himself in…. I think there is a lot more to Flowers that we’ll see in the future and that’s why this is still a series that I am still excited about!